Our Myself & My Family end of topic celebration coincided with this years MacMillan Coffee Morning. 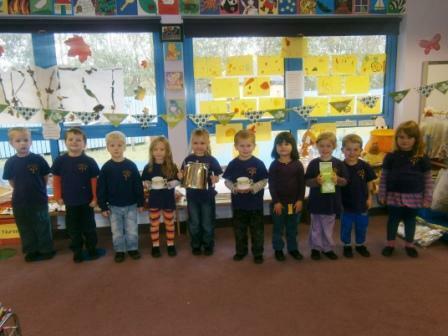 There was a great variety of cakes, scones and biscuits baked by the children and their parents. Tea, coffee and juice were on offer and everyone enjoyed a fun morning and afternoon. It was well attended and we raised the fantastic sum of £107. A big thank you to everyone who supported this great cause.